Too many claws for one comic? 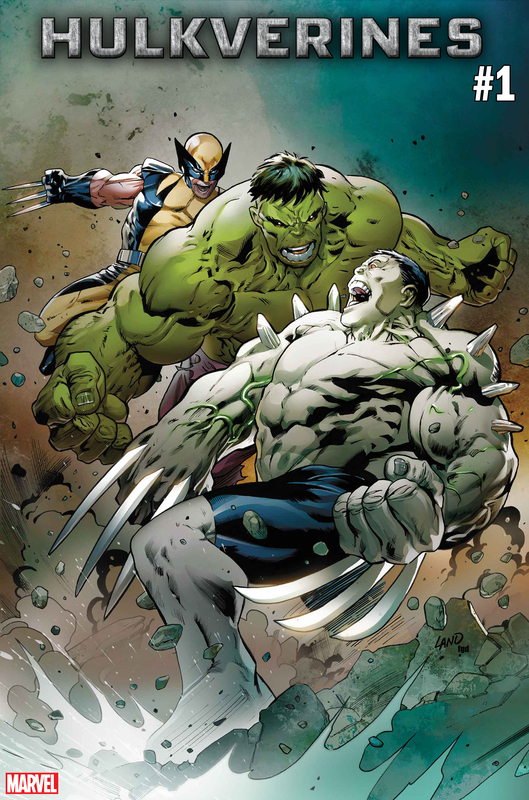 Wolverine and Hulk may be longtime enemies, but next year these two heroes will be teaming up to battle the one foe who shares all of their powers, Weapon H.
Hulkverines will be written by Weapon H writer Greg Pak. Issue #1 will be drawn by current Weapon H artist Ario Anindito, with issue #2 handled by Guiu Villanova (Punisher: War Machine). The series will make its debut in February 2019. Marvel hasn’t confirmed whether the series will replace the current Weapon H comic, and we’ve reached out to the publisher for comment. One interesting thing to note – while Wolverine recently gained a new costume in the Return of Wolverine miniseries, this cover suggests that he’ll soon be reverting to his traditional Astonishing X-Men costume after that story wraps up. February appears to be the month Marvel opens the floodgates in terms of new Wolverine appearances. We recently learned that Wolverine will be the focus of a new serialized flashback story in Marvel Comics Presents. And earlier this week Marvel announced Wolverine: Infinity Watch #1, teasing that Wolverine might soon wield the power of the Infinity Gauntlet. Logan is definitely keeping busy in the new year.